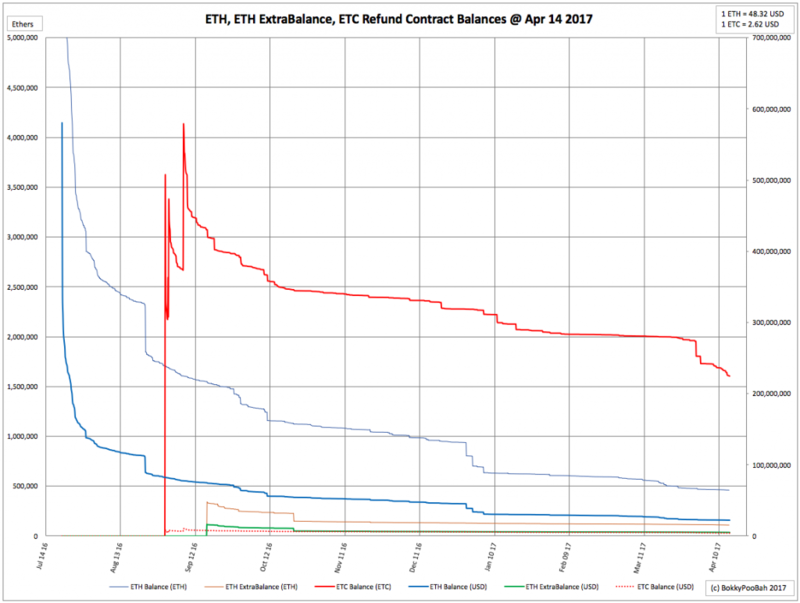 Less Than A Day Left For The DAO To ETC Refund Withdrawals. Update – Extended To Jan 10 2018. (Originally written Apr 14 2017. Updated Apr 15 2017 with the news that the WhitehatWithdraw contract expiry has been extended to Jan 10 2018). News – Deadline Looms on Ethereum Classic DAO Withdrawals and The DAO Ethereum Classic Refund Effort Has Been Extended. And this article links to The DAO Refunds by yours truly. See also BokkyPooBah’s Ether Refundable Prize, my digital gift card token created to incentivise The DAO token holders to withdraw their refunds. You can purchase BERPs from the BERP contract. It is getting costlier to purchase as time goes on. Details in the link. This entry was posted in Blog and tagged Ethereum, Ethereum Classic, Hack, Hard Fork, The DAO. Bookmark the permalink.